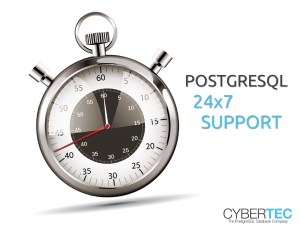 Cybertec will be available for PostgreSQL support round-the-clock. Cybertec provides support to clients around the world. No matter whether you in Europa (Germany, Austria, France, United Kingdom, etc.) or in Asia (Japan, India, etc) or in the USA – our team of experts will help with your support issues and tickets. PostgreSQL Support: What is included? All bug fixes will be Open Source and will help to prevent problems in the future. You will be able to track, what we have changed in the code and how it affects your system. Many complain that international database vendors offer bad support. “Upgrade to the latest version before we do anything”, “This core dump is not a bug” – it is logical that enterprise customers are fed up with tickets, which are never closed and never read by real professionals. On request customers can have direct access to their personal support expert via Skype or similar technologies to make your customer experience even better. Are you running an old database version? Maybe PostgreSQL 8.4, 8.3 or maybe even 7.4? Don’t worry. 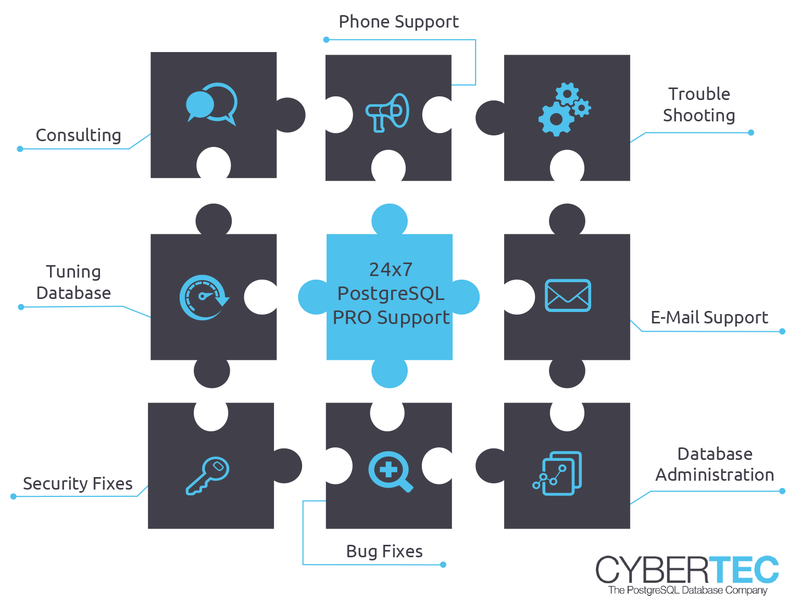 Cybertec offers “long term support “(LTS) for PostgreSQL. If you are happy with an old version, you will still be able to receive bugfixes and support.